We have some wonderful prizes for you from our Sponsors..
Our First Sponsor is: Beccy's Place who are offering 3 images (or 1 set) from their store. 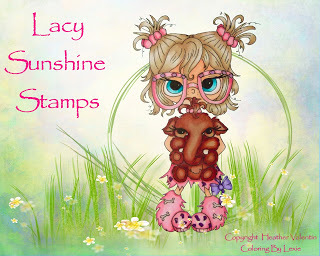 Our Second Sponsor is: Lacy Sunshine who is offering 3 images from their store. 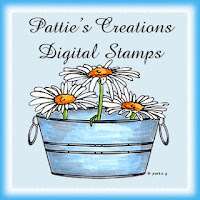 Our Third Sponsor is: Pattie's Creations who is offering 3 images from their store. 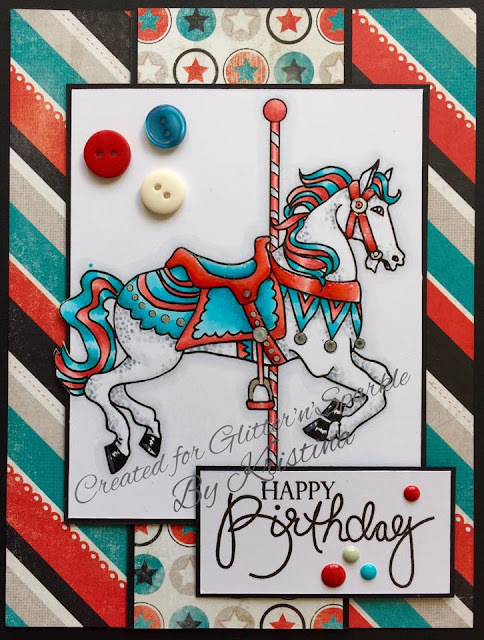 For my card today I chose this gorgeous Carousel Horse from Pattie's Creations. I used copic markers to colour but I did not choose a traditional Blue for the red, white and blue theme. I had some lovely paper (Authentique) that I wanted to match the blue with - hence the more light greeny blue. 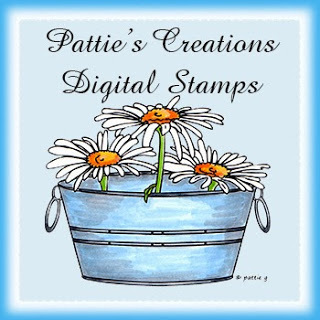 The sentiment is from Papertrey Ink.